From our humble beginnings as a siding and roofing company, Hatchett Design Remodel has evolved into Hampton Roads’ premier home remodeling firm. We couldn’t have done it without our people! Each member of the Hatchett team contributes to our growth, so we’d like to take this opportunity to introduce you to one of our newest employees, Ashley West. Ashley is a Designer based in our Virginia Beach showroom. Ashley has always wanted a career in which she makes a visible impact on someone’s life. With a Marketing Degree from Radford University and her experience with a large wholesale distributor of plumbing fixtures, lighting, cabinets and appliances, Ashley has found her niche designing beautiful and functional spaces that bring both joy and value to her clients’ homes. When Ashley’s not working, she keeps busy with her husband, two children and their family dog. The beach, hiking and gardening are her favorite outdoor activities. To help you get to know Ashley a little better, we asked him a few questions. How did your path bring you to Hatchett? It was fate the first time I decided to open a job search website – I came across a job posting for an interior designer position in their Virginia Beach showroom. It was very apparent after talking with several industry professionals that Hatchett upholds an excellent reputation during their long history of providing quality designs and a professional remodeling experience, so I decided to pursue the opportunity. After a few interviews I knew Hatchett was the perfect home for me! I have been thoroughly impressed with the beautifully designed and built additions, kitchens, and bathrooms that I have seen Hatchett create. I continuously hear from our clients what a pleasurable experience the entire project was from start to finish, how smooth the remodeling time period actually went, and how they never dreamed their home could be that beautiful, and all within their given budget. I always wanted a career where I could make a visible impact on someone’s life and what better way than helping our customers create a beautiful and more functional use of space in their own homes where they take the most pride! I love coming to work every day and feel privileged to work alongside such a talented group of individuals that share the same passion for remodeling! All of our focus is devoted to creating an outstanding customer service experience beginning to end; from the attention to detail on every design aspect of the space, to setting realistic expectations during the remodeling process, and how our project managers carry out the scope of work all prove to be an integral part of our success in creating an enjoyable, stress free, and professional experience for the client. I am thrilled to be a part of the Hatchett team! I enjoy spending my free time with family and friends, going to the beach, hiking, and gardening; I also have two children under 3 years old that keep me very busy these days! My daughter Ainsley is 2-1/2 and my son Blake is 11 months old. They are my greatest accomplishment. It has been so fun and rewarding to watch them grow into their own personalities! 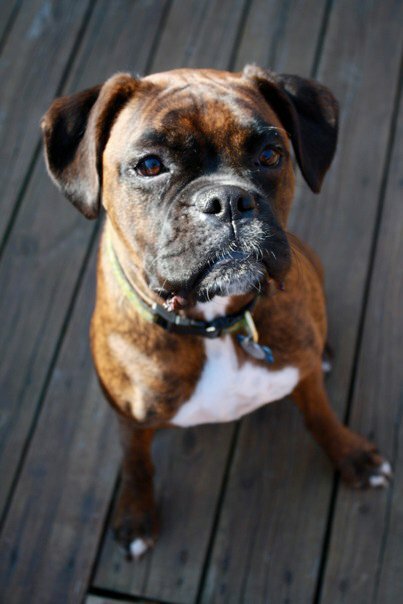 We also have a Boxer named Riley that is so sweet and full of energy! That’s Ashley! We hope you’ll soon meet her in person when you visit our new Virginia Beach showroom in the Spring of 2016. Stay tuned for updates and pictures… we look forward to sharing our progress with you!